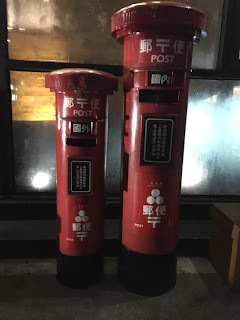 Last February, me and my friends went to a place called 三星園抹茶 ( Sān xīng yuán mǒ chá ), which is located at Guanqian Rd, near the CMP Block Museum of Arts. 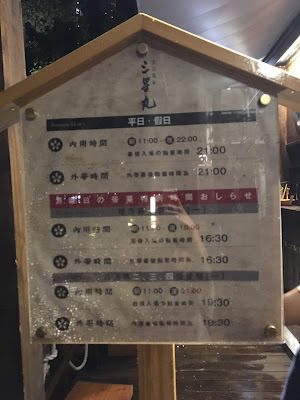 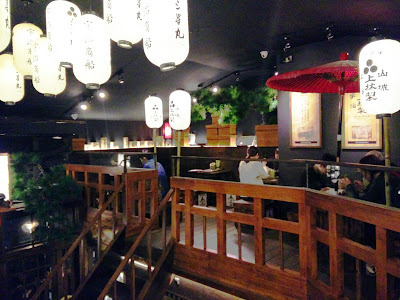 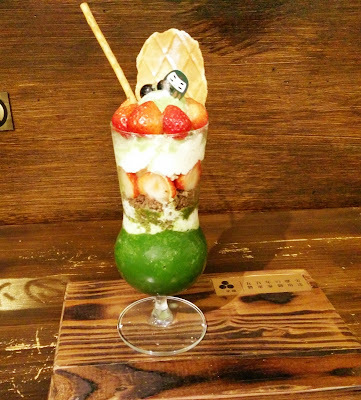 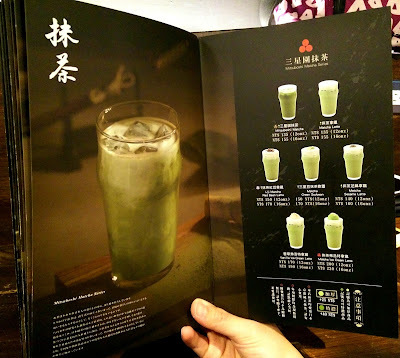 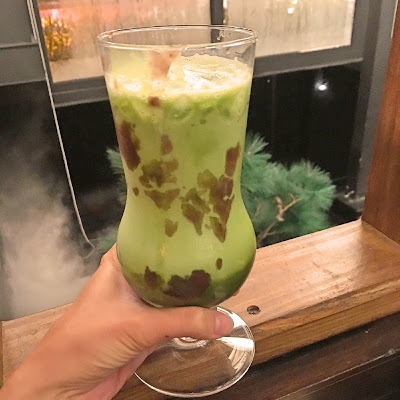 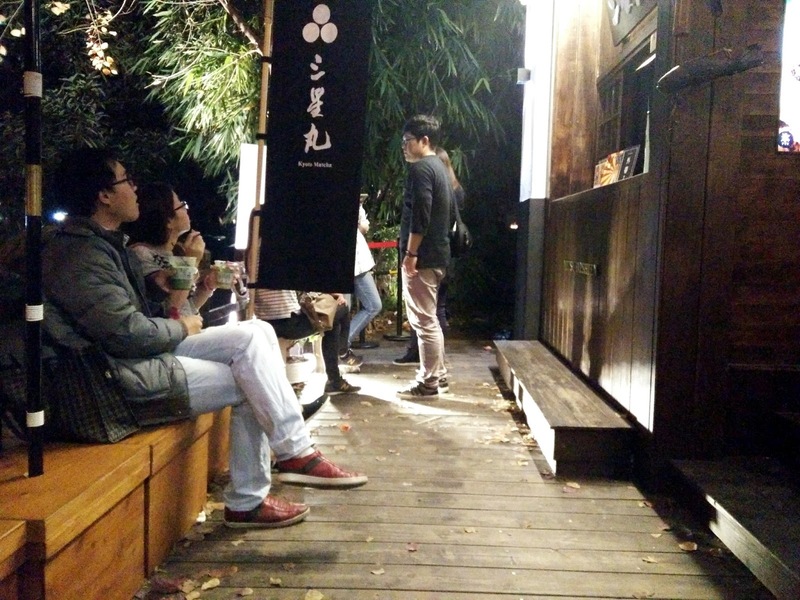 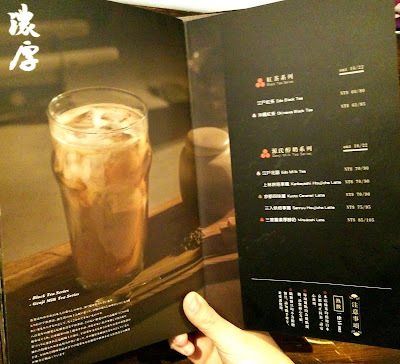 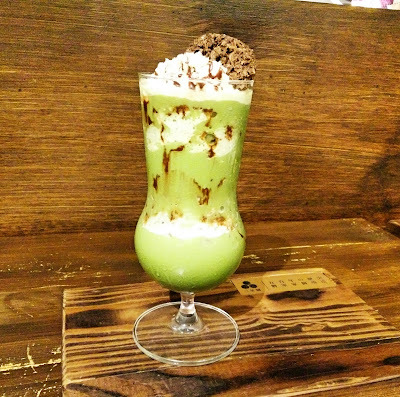 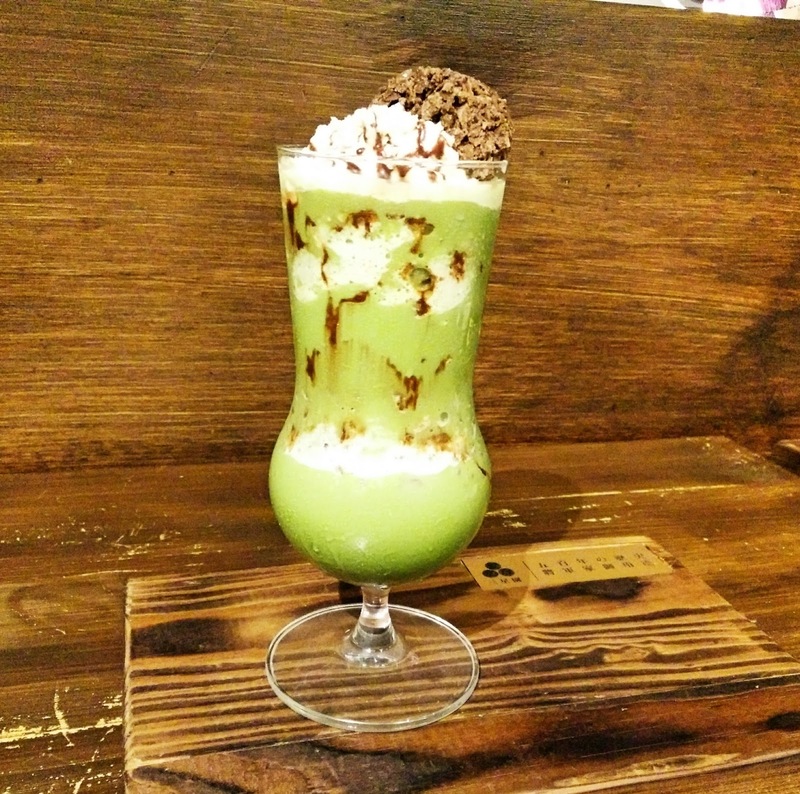 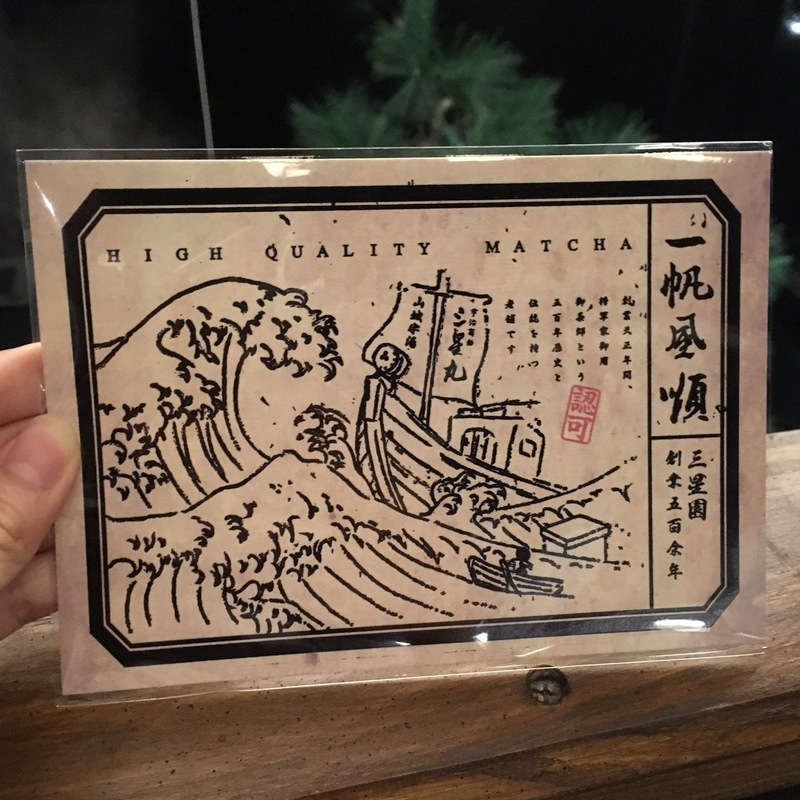 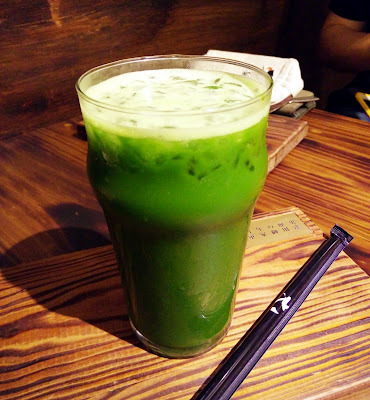 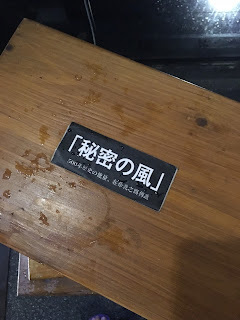 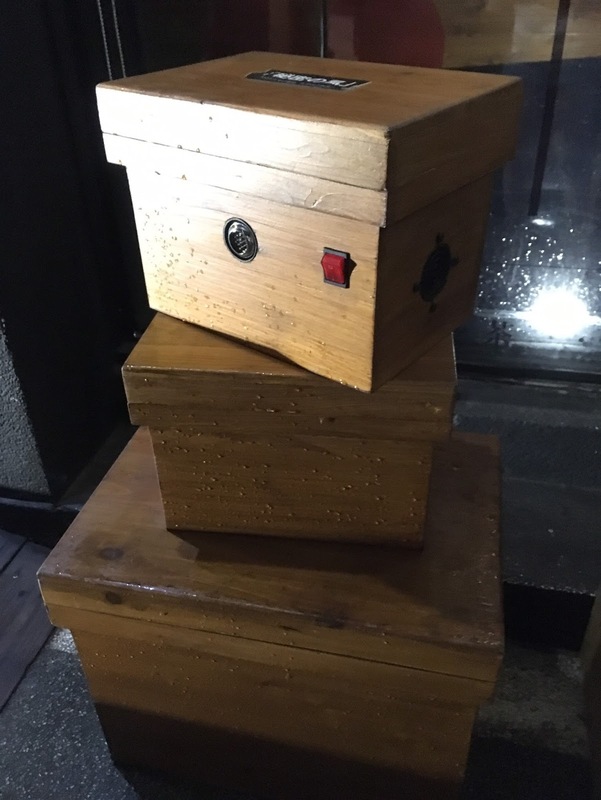 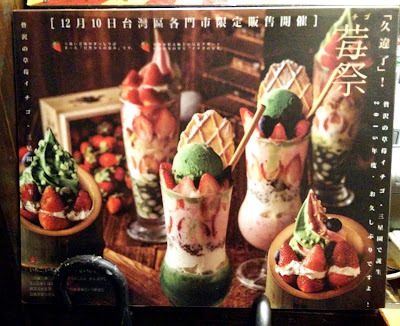 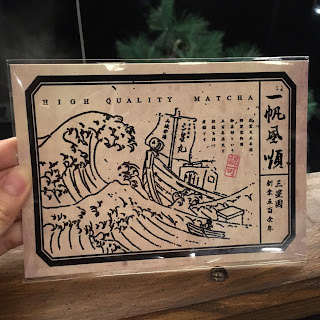 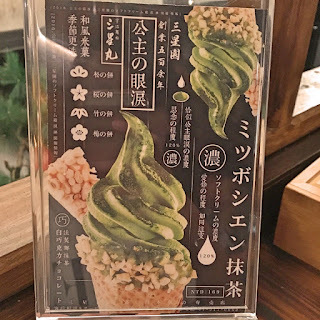 I think the place is really unique and cozy, they serve quite a few kinds of desserts and of course the main flavour is Matcha (Green Tea) like its name 抹茶. 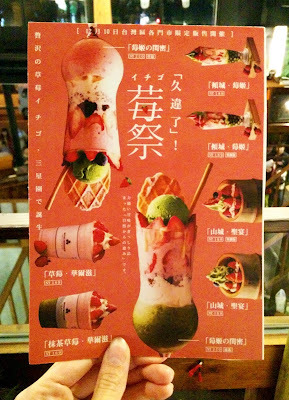 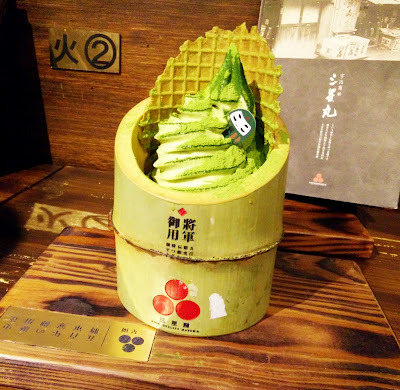 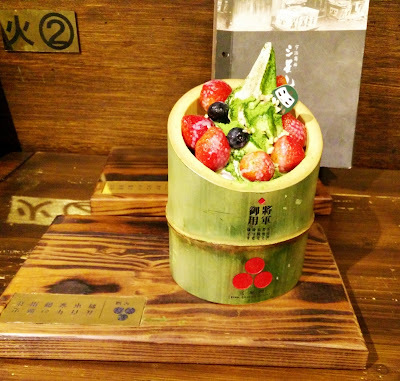 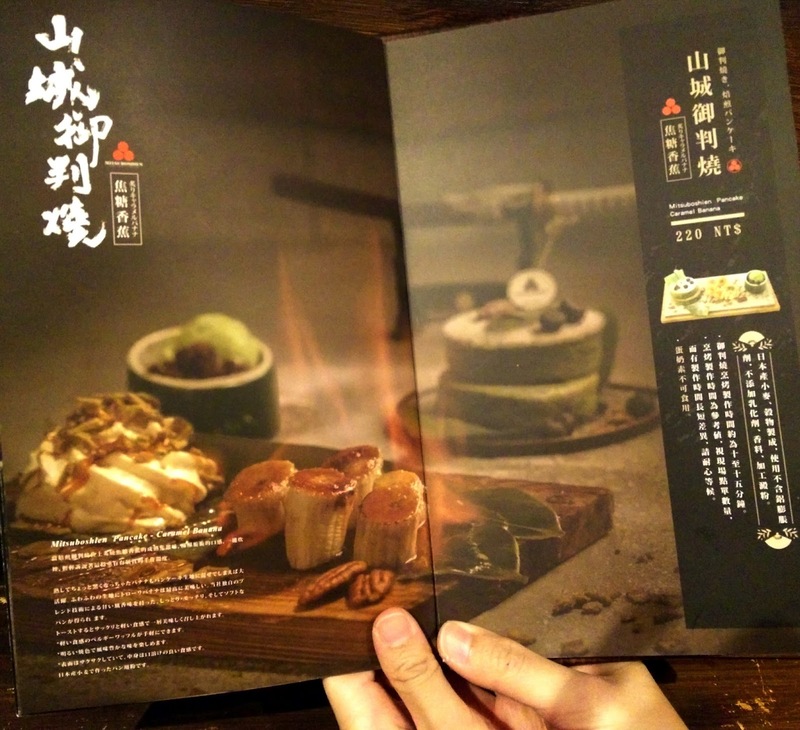 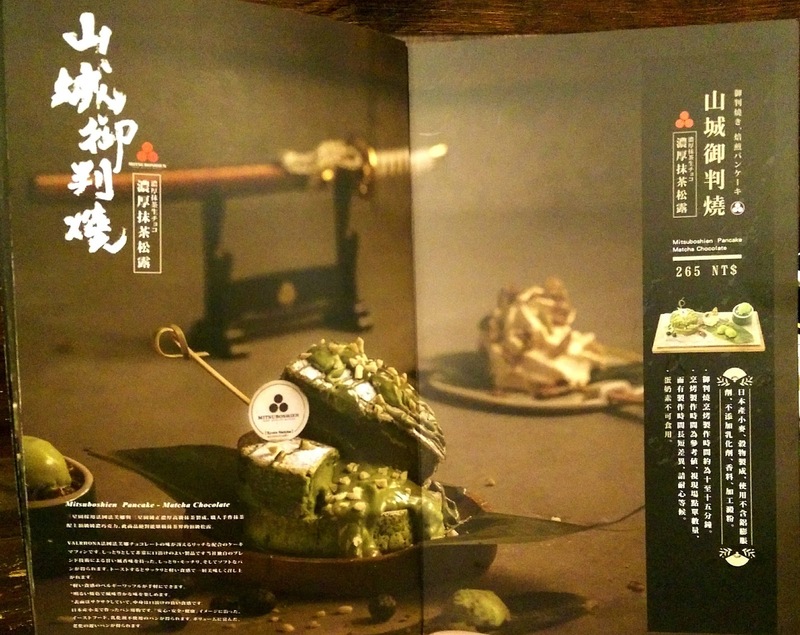 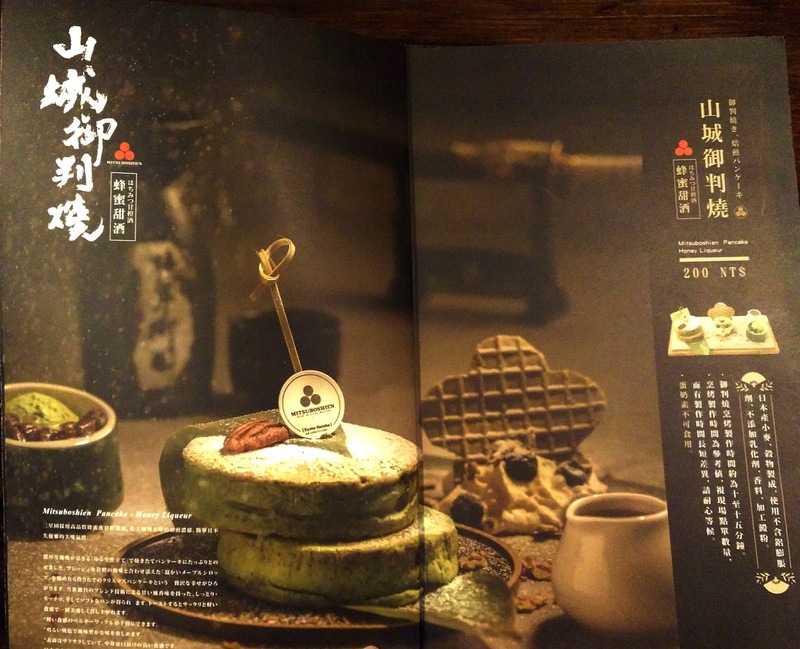 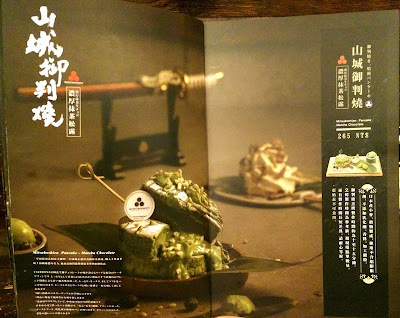 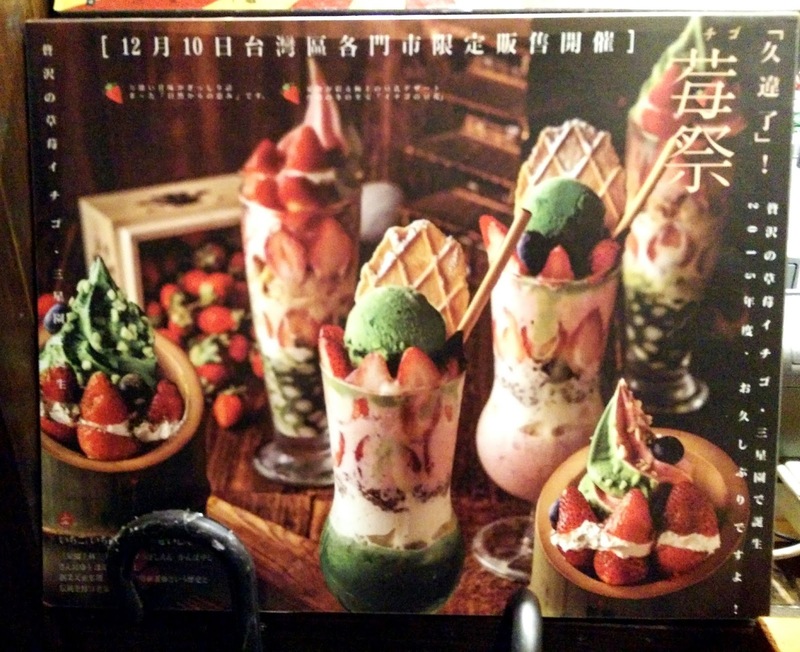 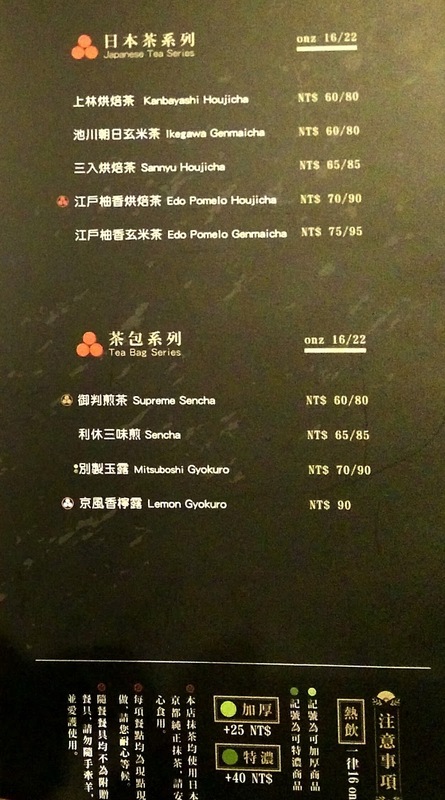 I think the menu above is not the same for every season, like this matcha soft cream one is available on this summer. 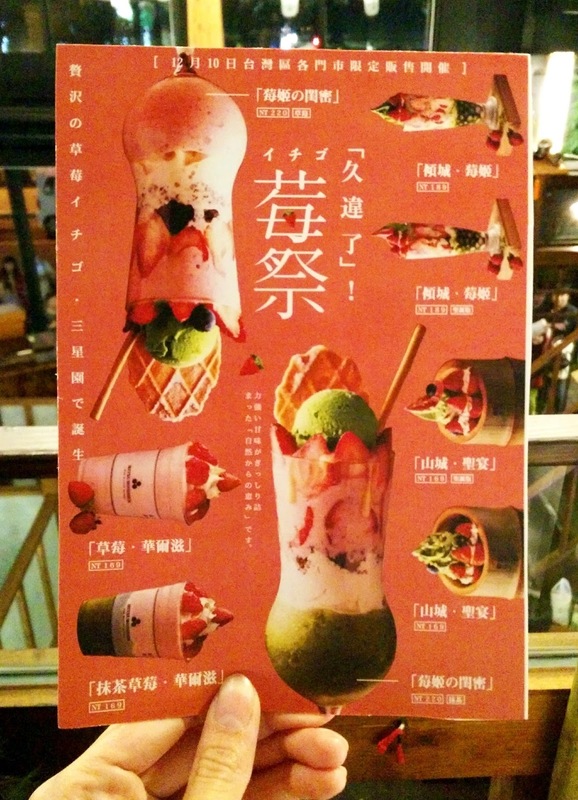 But, the two flavour above, the strawberry is available on last winter. 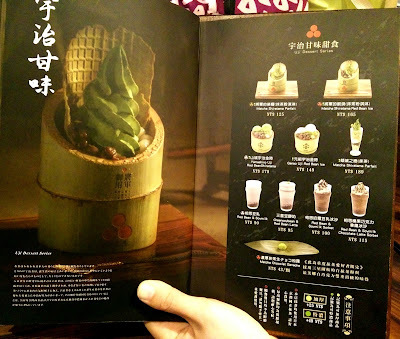 But, I'm not sure whether the same menu will be available next winter. 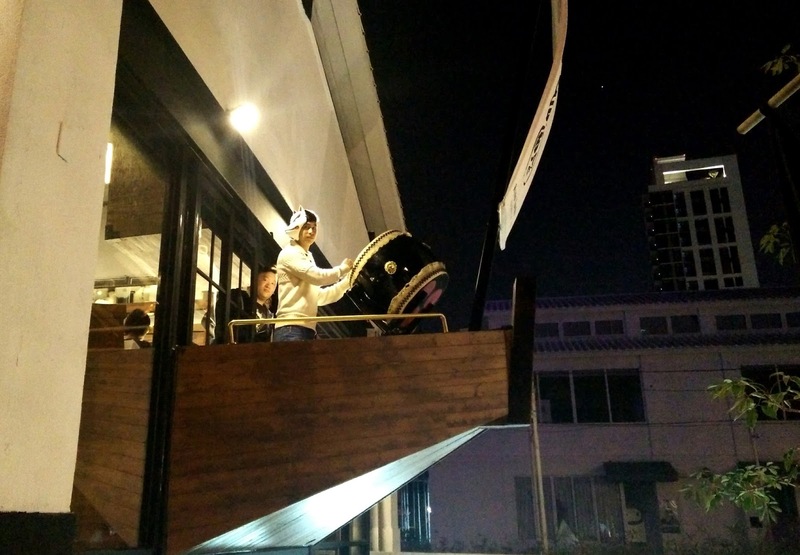 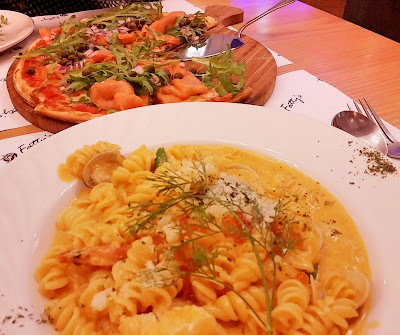 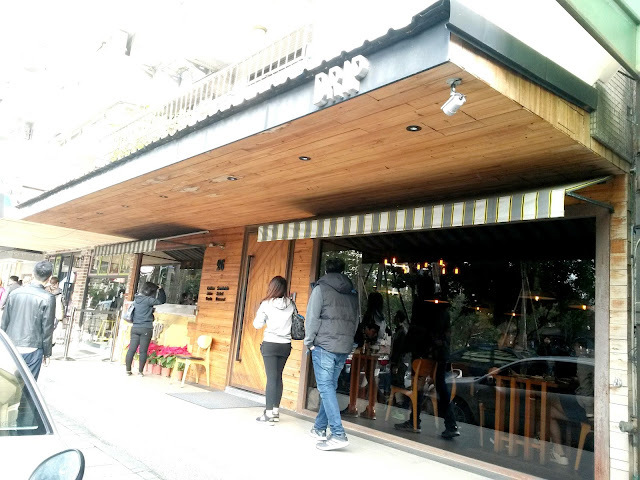 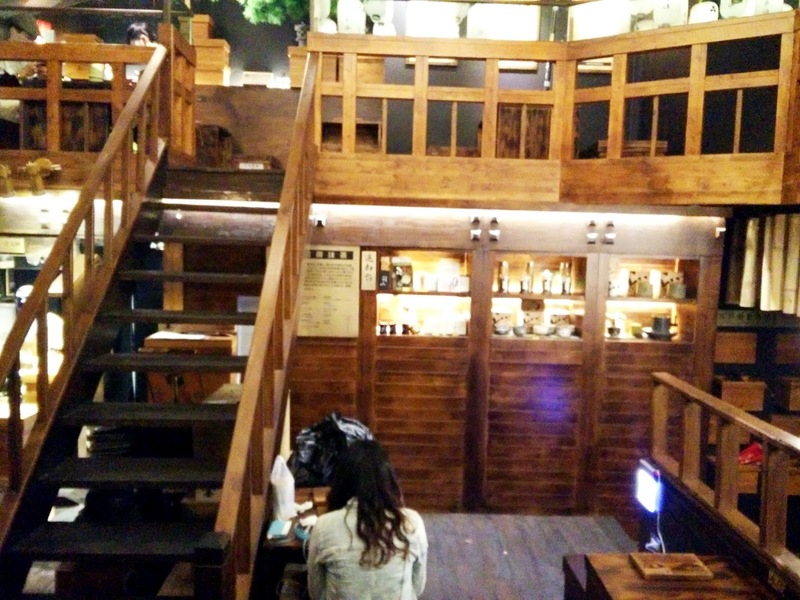 Actually, this place is quite new, it hasn't even been six months since its opening( I came on February), but it's pretty famous in Taichung already. 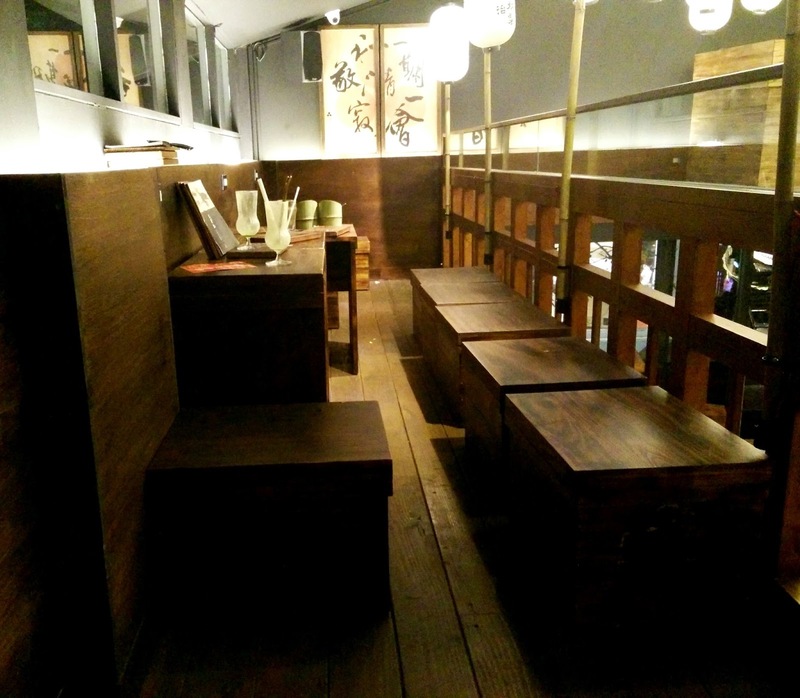 The concept they use to design the restaurant is a ship shape, the design consist of mostly woods for its furniture and they add some Japanese ornament to give that "Japan" feel to it. 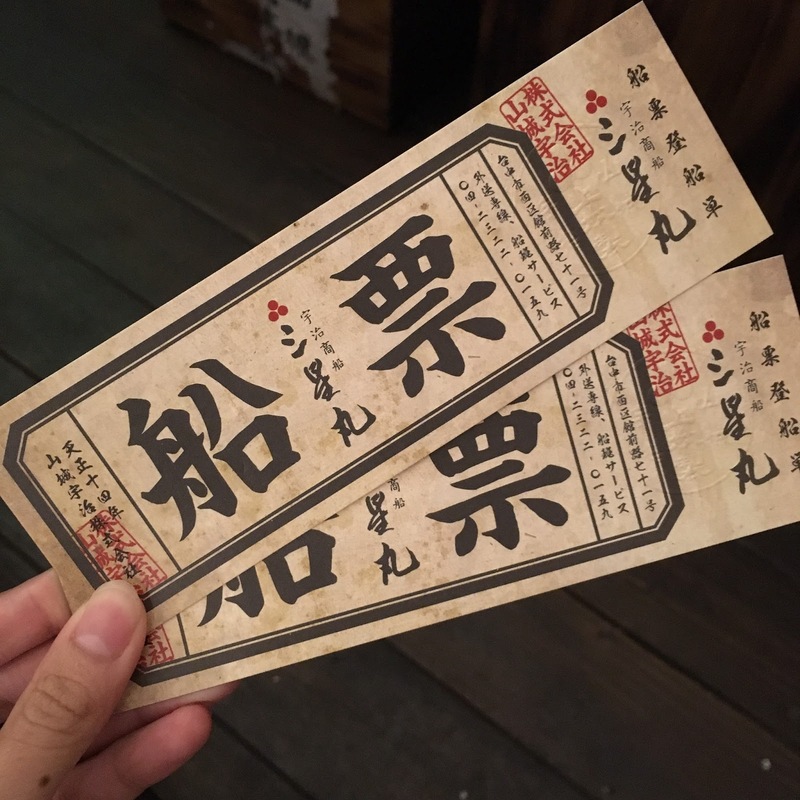 This one is a boat ticket (Yeah! 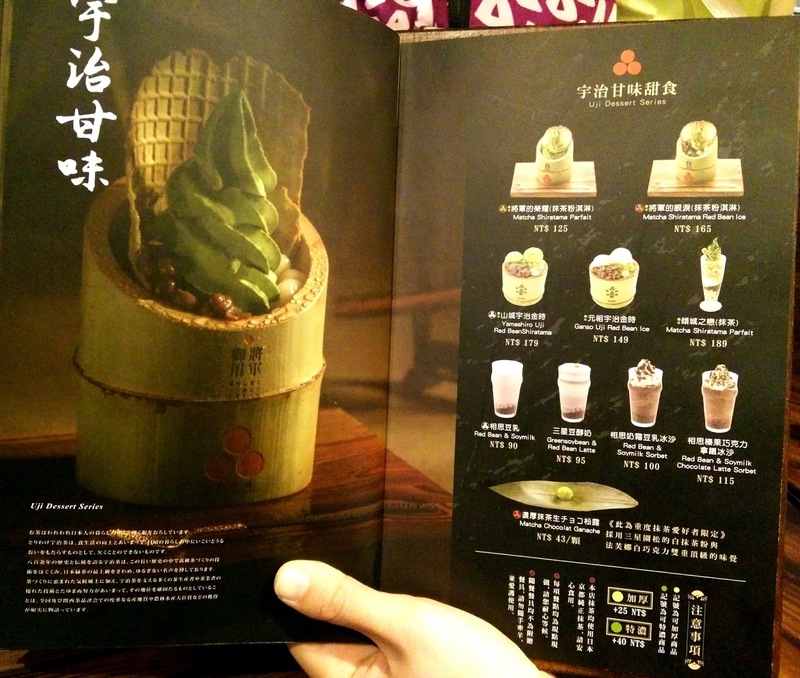 This place's concept is a boat, so we need to buy the ferry ticket first, which is NT$100/person). 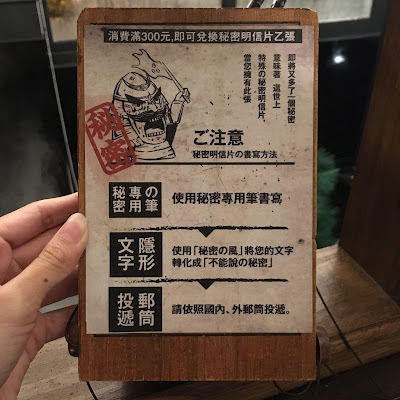 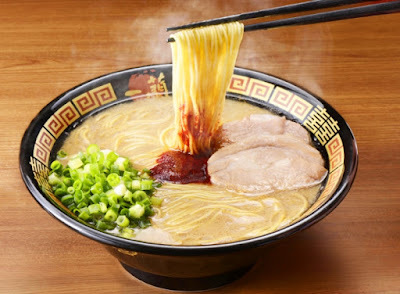 This NT$100 is the minimum charge per person here, and you can use the ticket to buy the foods and drinks here. The interesting part here is, when you collect 10 tickets, you can exchange it for 1 free Matcha Latte. 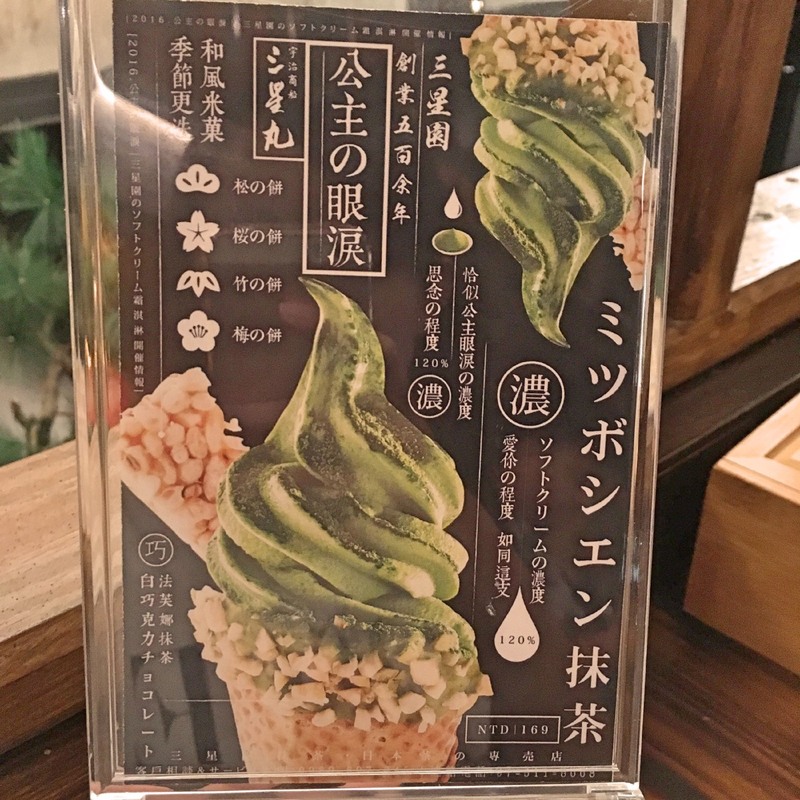 Like I said before, the minimum charge for each person is NT$100, not so cheap for an Ice Cream, but I think its worth it, their matcha is really good! 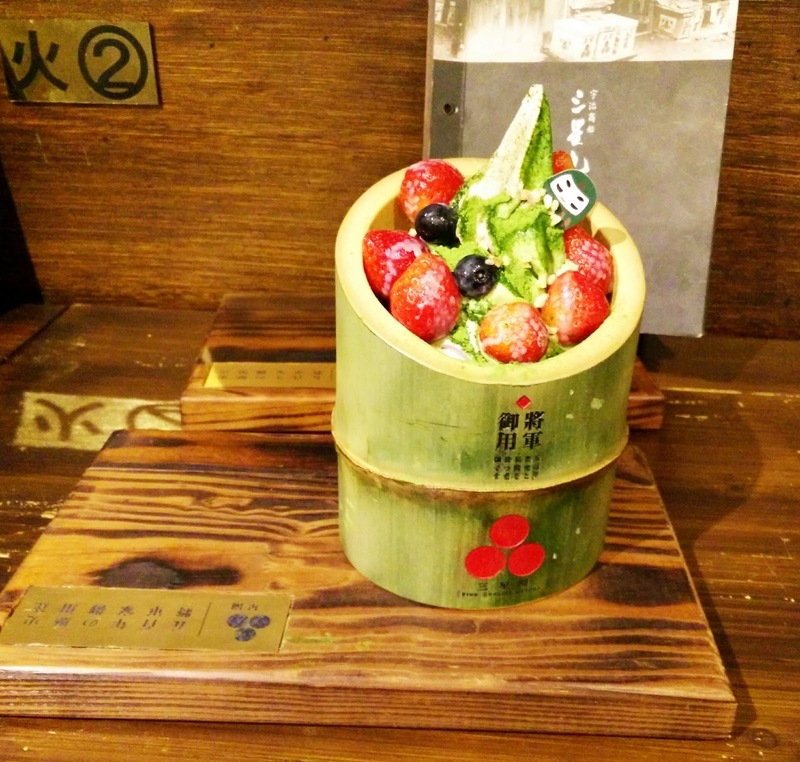 The strawberries are really fresh and tasty. Unfortunately, it was too late when I went there so I can't try their signature pancake which is really famous :( It's already sold out when I got there. 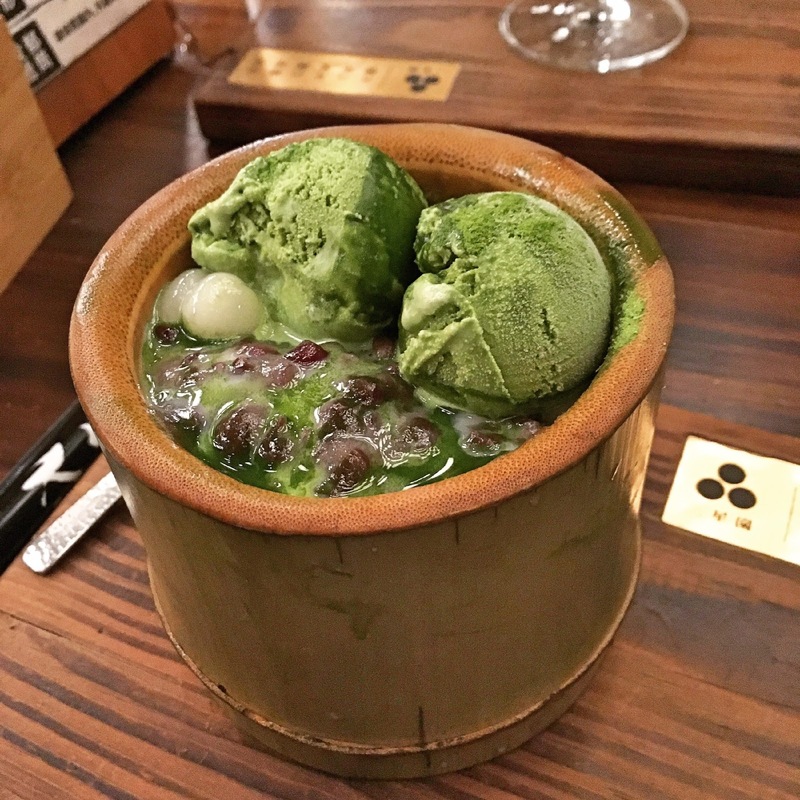 Although I don't really like Matcha, I'm still going to come back here for more! 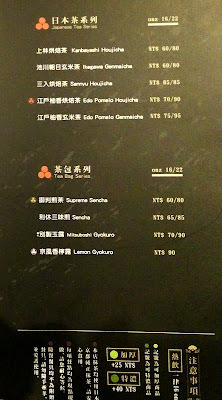 And next time, I'm definitely getting the pancake! 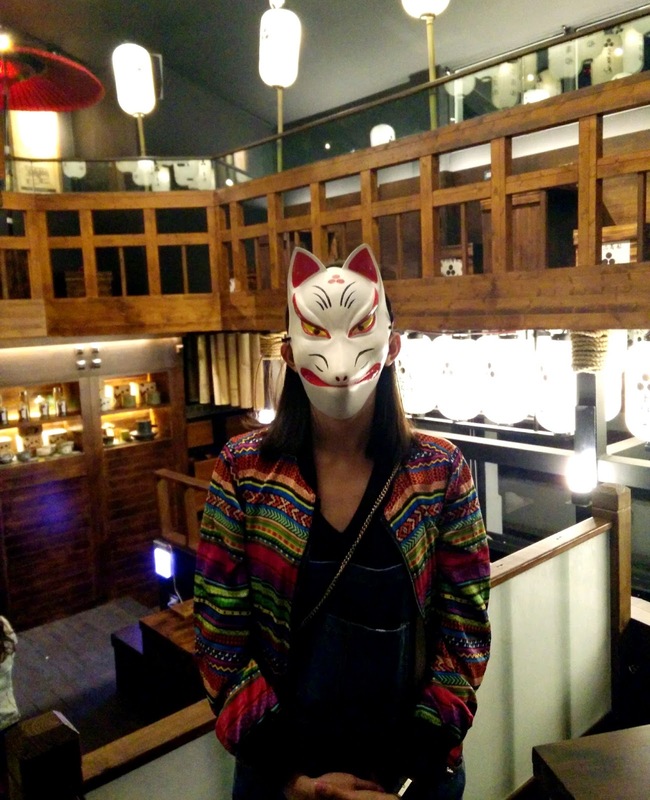 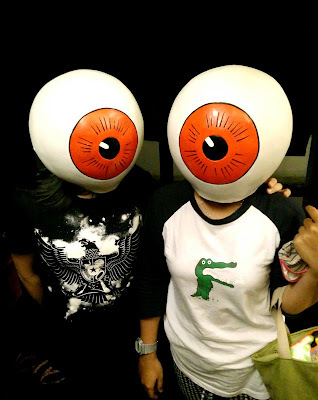 You can also take good pictures here, because they provide some masks and sandals like the ones in these pictures below. 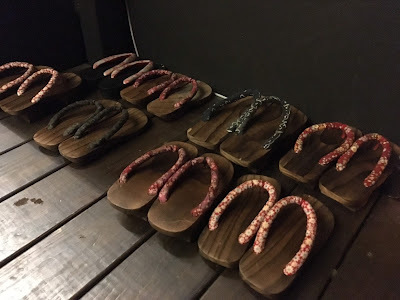 So cute and unique, right? 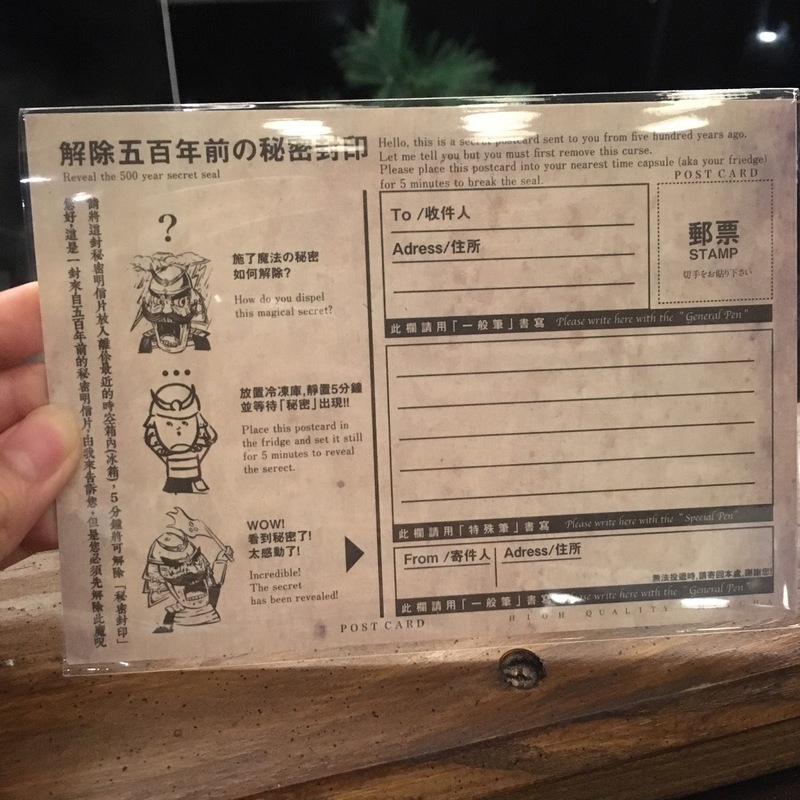 They give us this postcard for every purchase more than NT$300. 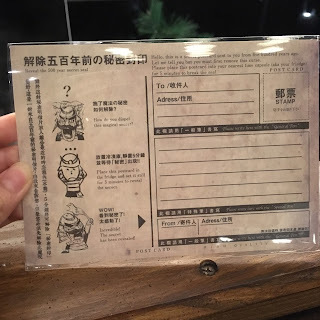 The instructions is on the picture below.